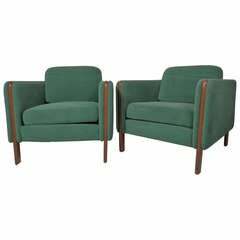 This beautiful pair of vintage vinyl swivel chairs for Thayer Coggin feature the stylish Mid-Century design of Milo Baughman. 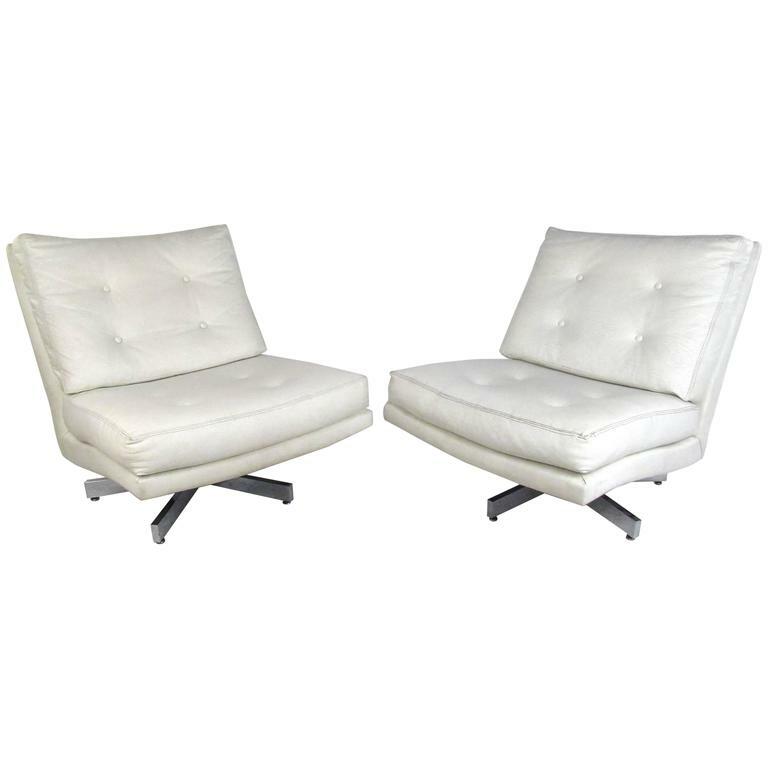 Tufted seats, slipper style design, and chrome swivel base add to the charm of the pair. 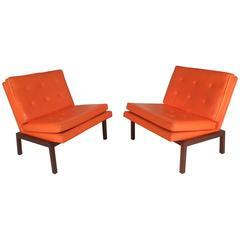 Original tags still intact, stunning matching pair of lounge chairs perfect for living room or office seating area, please confirm item location (NY or NJ). 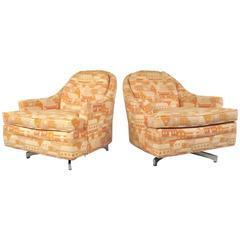 age appropriate wear, worn vinyl, some tears/stains, minor oxidation on base. 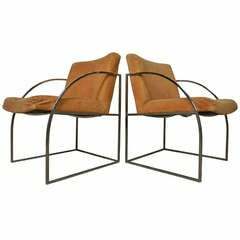 Lounge chair designed by Milo Baughman for Thayer Coggin upholstered in brown leather raised on solid walnut legs.